1950, five years since the end of the war and Britain is still gripped by austerity and rationing. As the nation tries to come to terms with peace many are disillusioned and suffering the deprivations of homelessness, hardship, poverty and loss. 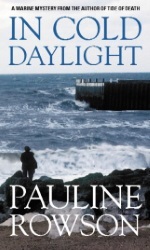 For war photographer Eva Paisley the discovery of the body of an unidentified man wearing a pin-striped suit in a secluded bay on the Isle of Portland, Dorset is far from harrowing. She’s seen and photographed much worse. Her observations of the dead man, seen through the lens of her camera though are summarily dismissed by the local police, and Scotland Yard in the form of Detective Inspector Alun Ryga is called in to investigate. Recently promoted to Inspector in the Criminal Investigations Department of Scotland Yard, Ryga is on his first solo investigation outside of London and he is keen to prove his worth. Years working at sea in the Merchant Navy and then four years spent as a German prisoner-of-war have made him watchful and thoughtful, and given him insights into his fellow man, along with a promise to himself to keep an open mind. 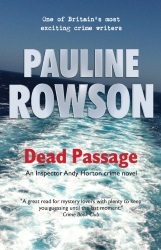 Ignoring the warnings of the local police inspector, and the Dorset Chief Constable that his trust in Eva Paisley is misjudged, Ryga quickly realises that her insights could provide the breakthrough he needs in a complex murder investigation and the answer to the haunting circumstances that have sent the man in the pin-striped suit to his death. For television, film, translation, audio, drama rights please contact us for further details.